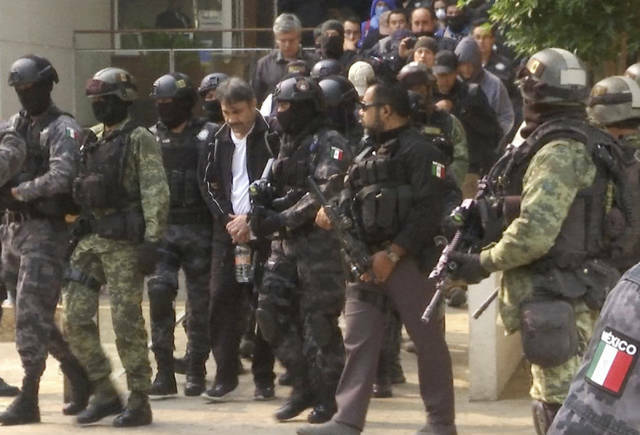 NEW YORK (AP) — The wife of Mexican drug lord Joaquin “El Chapo” Guzman played a key role in his infamous 2015 escape from prison through a tunnel dug into the shower of his cell, a witness testified Wednesday at the kingpin’s U.S. trial. Haiti had not yet recovered from its devastating 2010 earthquake when it was hit hard by Hurricane Matthew in 2016. It is one of the world’s most vulnerable nations to climate change. Disclosure statement: Keston K. Perry does not work for, consult, own shares in or receive funding from any company or organization that would benefit from this article, and has disclosed no relevant affiliations beyond their academic appointment. Haiti is the Carribean’s most deforested nation. Seventy percent of forests on the island have disappeared since the late 1980s. It desperately needs reforestation projects to reduce flooding, coastal erosion and water pollution and prevent mudslides. At the same time, the American Psychological Association (APA) issued new guidelines about the dangers of toxic masculinity. It emphasizes that while men still dominate powerful positions in the U.S, they also suffer in unique ways. Life expectancy is shorter, and men are far more likely to be the victims of both homicide and suicide, among many other health measures. The basic focus of the guidelines is that “traditional” masculinity, or what sociologists have called hegemonic masculinity, which emphasizes stoicism,competitiveness, dominance and aggression, is bad for both men and women. Laura Finley, Ph.D., syndicated by PeaceVoice,teachesin the Barry University Department of Sociology & Criminology. Disclosure statement: Jay Desai has received funding from Epilepsy Foundation of Greater Los Angeles, Novartis, UCB, and Neurelis.